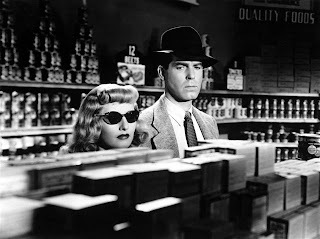 When I decided to watch Double Indemnity, a movie directed by Billy Wilder, adapted from a James M. Cain novel by Wilder and Raymond Chandler, I wasn’t just expecting sparks to fly (considering that Wilder was perhaps one of the finest American directors, while Cain and Chandler hardy had any parallels where hard-boiled fiction was concerned), I was also anticipating a movie drenched in black irony. Though not as acerbic or nihilistic as the other Wilder masterpieces Sunset Boulevard and Ace in the Hole, I wasn’t disappointed on either count. Told in flashbacks, the movie recounts a murky tale of lust, steamy illicit affair, betrayal, double cross, and murder. A cocky insurance agent (Fred MacMurray) – who loves speaking in wisecracks, gets completely enamoured by a seductive (and married) femme fatale (Barbara Stanwyck) who lures him into murdering her husband. Falling head over heels for a sultry blonde is a dangerous thing in film noirs – the kind of stupid act that can get you killed; consequently things soon start spiraling way out of his hands. A plot that twists at every given opportunity, dialogues drenched in hardboiled cynicism, three wonderful performances, moody atmosphere littered with a fantastic use of chiaroscuro, and the bleak irony of the climax, made it one of the greatest movies in its genre; hell, in any genre. I’m really puzzled as to what Ben Affleck loves more – his hometown Boston or the crave to surprise us. We all agree he is a sub-average actor. But he also happened to win an Oscar for co-writing, along with Matt Damon, for the screenplay of Good Will Hunting. And now, with Gone Baby Gone, which marks his directorial debut, he has confirmed that perhaps acting was his means to find his true calling. 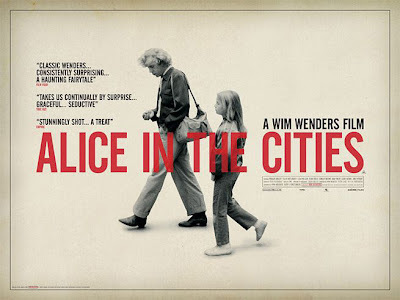 This assured crime drama, starring his brother Casey Affleck (who undoubtedly is the more talented Affleck in front of the camera) in the role of a private investigator, opens up the underbelly of the city of Boston without, at any time, making us flinch. The plot essentially concerns the kidnapping of a young girl, the circus that ensues, and the dark truth that slowly gets revealed both to us as well as to the protagonist. The movie is a success because the director didn’t get bogged down by the heavy plot; rather he managed to etch the characters and the human story very well too. Though it did miss out on a few nuances or further explorations of the complexities hinted at – the ending was in fact more overstated than I would have wanted, I found watching the movie a largely satisfying experience. The moody, atmospheric cinematography did enhance the experience further. 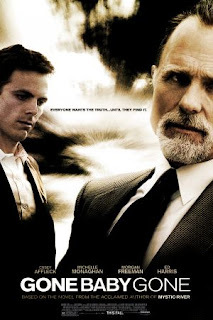 A special mention needs to be made about Ed Harris – his brilliant turn as a veteran cop who might be aware of more than he cares to state, once again shows what a terrific, albeit underrated, actor he is. Directorial debut of Spanish filmmaker Juan Antonio Bayona, The Orphanage is an assured venture in the oft-made genre of haunted house tales. Bayona being a protégé of Guillermo Del Toro (incidentally also its producer) – who himself made some fascinating films on the bizarre and the inexplicable like The Devil’s Backbone and Pan’s Labyrinth, the Mexican auteur’s presence is palpable in quite a few scenes of this gothic horror movie. Laura (amazingly performed by the lead actress), who spent her formative years at an orphanage at a pristine god-forsaken location, has returned to the now unoccupied mansion after 30 years, along with her husband and her adopted son Simone. As expected, things soon start turning creepy with the lonely Simone befriending a bunch of invisible kids, and before long downright ugly with his sudden disappearance. Relying more on psychological explorations and deftly executed moments of high shock value, the movie succeeds for the simple reason that at the end of the day it is as much a human story as it is a supernatural one. Maverick Korean auteur Park Chan-Wook’s latest film and his first since he completed his vaunted Vengeance Trilogy with the aesthetic Sympathy for Lady Vengeance, has literally opened new doors (even by his standards) insofar as quirky film-making is concerned. The movie takes place in a mental asylum, and is absolutely unique in that it presents the world from the point-of-view of the mentally ill. 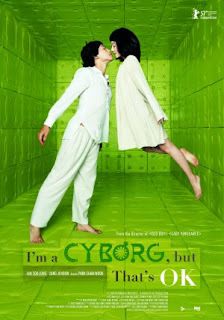 Ultimately it is a whimsical yet heartfelt love story between a recently institutionalized frail, young girl who believes she is a cyborg who must seek (you guessed it) vengeance against “the white ones” and a good-natured, anti-social guy who has convinced his fellow inmates that he can steal people’s personality traits. Even though filled with vintage Park moments, character sketches, idiosyncrasies, craziness and a twisted sense of humour, it however feels a bit stretched, jaded and messy, especially in the last third act. At the end of the day I must add that even though this isn’t an exceptional movie per se – at times it is almost a failure by Park’s standards, it is a very brave and passionate attempt nonetheless. Gus Van Sant’s first foray into a lesser offbeat movie is as engrossing and stimulating as his previous or subsequent (more critically acclaimed) arthouse classics. A plethora of movies have been made on geniuses and underdogs, but very few have done so from an otherwise common working man’s perspective. 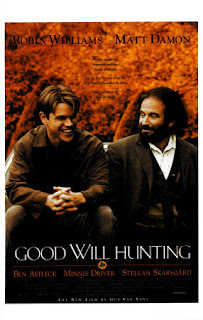 Matt Damon plays the eponymous role of a mathematical genius with a photographic memory, but he is also a very troubled, difficult individual, a member of the proletariat, who “knows the worth of everything, but the value of nothing.” Robin Williams plays an equally troubled, emotionally damaged professor of psychology with devastating effect. The complex, layered and fascinating bond that they develop ends up changing his very perspective on life for the former, while aids the latter to come to peace with his inner self. A visually enthralling, wonderfully enacted, touching and thought provoking underrated classic and the most mainstream effort from indie-specialist Van Sant, it manages to caress the heart and provide fodder for the brain with equal ease and grace. Often considered among Ray’s finest films, Aranyer Din Ratri is a tour de force whose character driven analysis of urbanization, human behaviour and class dynamics, have made this a masterpiece. It is a complex yet subtle character study of four Calcutta youths – an affluent, well read, and extroverted company executive and a leader by nature (Ray favourite Soumitra Chatterjee in one of his finest performances); an idealistic middle-class employee actively involved in union politics, who happens to believe in leftism; a hot headed and brash struggling sportsperson; and a goofy, witty, happy-go-lucky unemployed guy with a knack for gambling(brilliantly performed by the mercurial character actor Robi Ghosh) – representing four distinct walks of life, bonded by friendship, but unique in every other aspect. The movie, with its subtle, wry humour and deft psychoanalysis, managed to reinforce Ray’s ability to say so much in so few words. 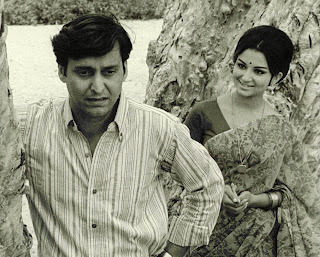 Sharmila Tagore’s restrained and endearing portrayal of a sophisticated, enigmatic Calcutta girl and Chatterjee’s love interest was also exceptional. The black-and-white cinematography aided by a fluid narrative and an ending left to the viewer’s interpretation, have all added to the underrated but undoubted greatness of the movie. 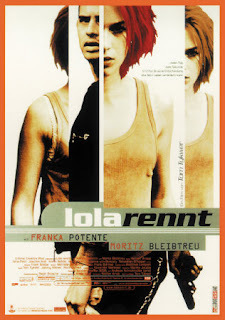 Once in a while one gets to watch a movie that is so unique in its content and so bold in its outlook that it stuns the senses out of the concerned moviegoer; the remarkable German film Run Lola Run is one such fabulous effort. 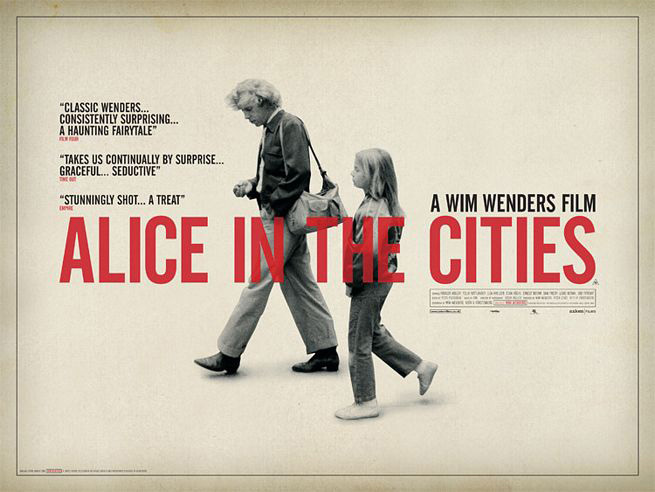 Set in the vibrant city of Berlin, the movie starts off with a not so innocuous telephonic conversation where a guy informs his red-haired girlfriend Lola that he owes the mob a huge amount, and if she fails to get him that sum within the next 20 minutes, he will make an attempt to loot the departmental store in front of him. This sets off a chain of motion that’s so wacky and outrageously entertaining that it’ll blow anybody’s head off. Set against a pulsating score and a host of wildly innovative techniques like flash-forwards (employing ‘Butterfly Effect’), Lola’s run is recorded three time – the first two being hypothetical – each slightly dissimilar in path but devastatingly different in consequence. The only thing which can be added here without revealing more is that one has got to view this extraordinarily original high-octane movie to believe in the epithet that “imagination truly knows no bound”. The Godfather didn't just revolutionize the gangster genre, it literally became the face of American cinema overnight. Of course, it also happens to be one of the greatest movies ever made, and not just in America. Francis Ford Coppola was a wannabe director – he was roped in to adapt Mario Puzo’s bestselling novel to screen because the producers (mistakenly) felt he would listen to them, only that he didn’t; Marlon Brando was no more the super star that he was and was in desperate need of a great role; Al Pacino was an actor whom some people had noticed for a couple of good movies like Scarecrow, nothing much – and together they created history. The mesmerizing portrayal of ‘Family’ values, loyalty and cohesion (‘Mafia’ is never used), the bleak and yet strikingly captivating cinematography (the movie is washed in brown filter during indoors), the hauntingly beautiful score by Nino Rota, the lyrical narrative coupled with the fluid visuals – there isn’t really a single flaw in the movie. 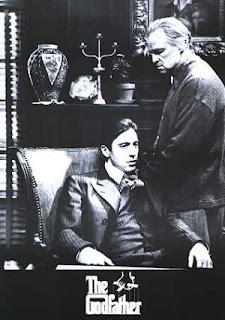 Brando’s turn as the ageing, principled godfather Vito Corleone who has been trying to have a piece of Sicily in the US, and Al Pacino’s portrayal of his youngest son Michael Corleone who has embraced the American Dream but is forced to take over the family business, are as good as Coppola’s superlative and flawless direction that propelled him to the highest echelons as far as respect and stardom are concerned. The celebrated climax feels like a synchronized ballet dance, despite the chilling portrayal of cold, ruthless violence.